The family at this mid-century colonial home was looking for a way to reinvigorate their kitchen space, which was cramped and inefficient. By repurposing their kitchen area as a communal area and designing a light-filled addition, we created the perfect hub for the family to host gatherings for years to come. The addition flows seamlessly from the original house. Ample windows and french doors connect the home to the yard and allow the space to be filled with daylight. The space once occupied by the original kitchen became a connector. 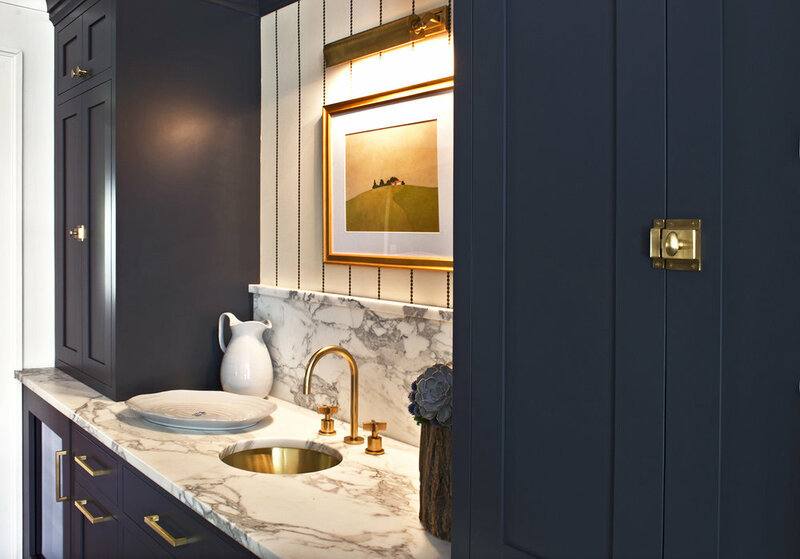 It’s not a purely service space like a butler’s pantry and it’s more than a wet bar. The clients have dubbed it the Party Prep Room. For some of us sunshine might not be a substitute for morning coffee, but we think this breakfast nook is the perfect place to begin the day. The team at Stonington Cabinetry is exceptionally detail-oriented. 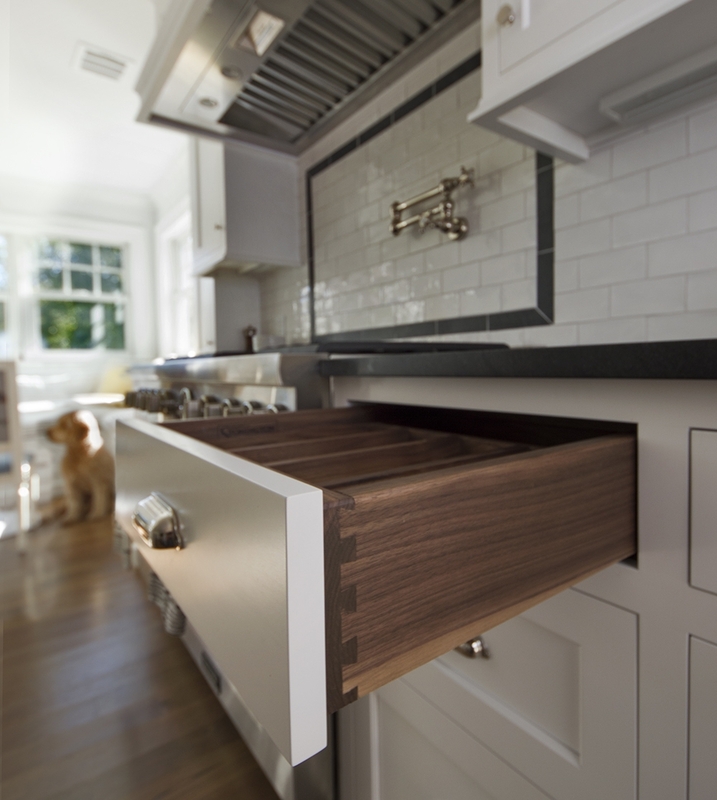 Dovetailed walnut drawer boxes keep the refined look going even in the often hidden details.